The Shannon Branch of the Irish Hotels Federation (IHF) is holding a Gala Dinner on Monday, 29th April 2013 as part of a drive to raise funds for local tourism initiatives in the Mid-West. 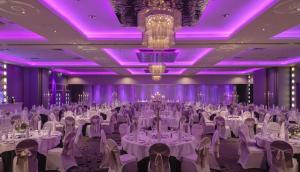 The Malton Hotel, Killarney has invested €400,000 in a major refurbishment project on their ballroom that has seen The Muckross Suite completely transformed. 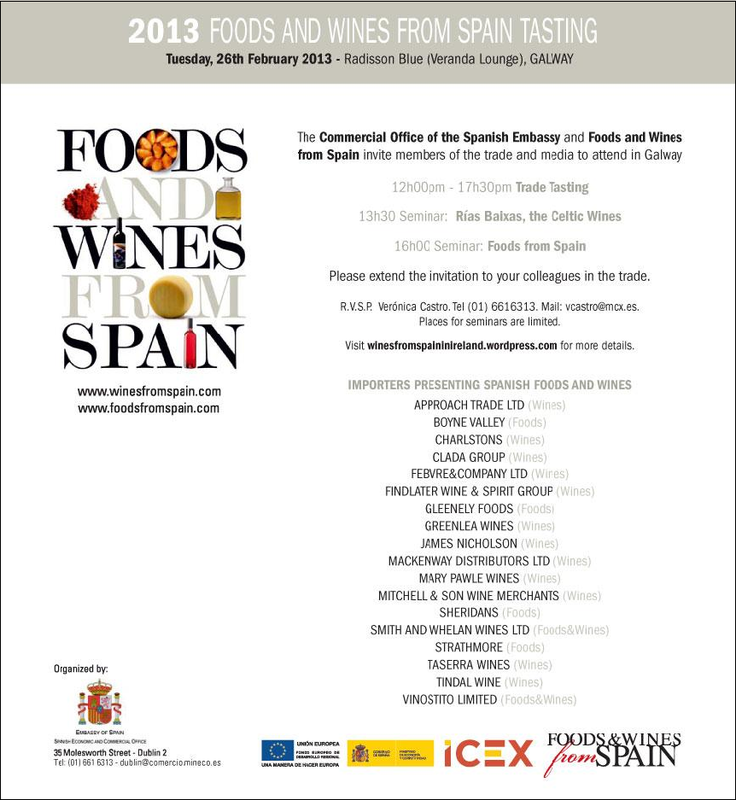 The Commercial Office of the Spanish Embassy and Foods and Wines from Spain invite you to attend a tasting being held in the Radisson Blu, Galway on Tuesday 26th February 2013. On Tuesday 29th January 62 winners nationwide received awards based on customer feedback at a reception in the National Gallery of Ireland in Dublin. Minister for Transport, Tourism & Sport Leo Varadkar presented plaques to the winners of the prestigious CIE Tours International Awards of Excellence. Congratulations to all the hotel winners on the night. Below are some of the photographs from the evening. The River Lee Hotel says ‘Huān Yíng’ to Chinese tourists! New website aims to lure visitors from the People’s Republic of China to the People’s Republic of Cork! The River Lee Hotel in Cork has extended a ‘Huān Yíng’ or ‘Céad míle fáilte’ with an Asian twist, by launching a new Chinese version of its website. The new website, cn.doylecollection.com aims to increase guest numbers to the Hotel from the rapidly expanding Chinese tourism market. Read more about The River Lee Hotel says ‘Huān Yíng’ to Chinese tourists! Sarah Marr of the Prem Group was awarded Human Resources Manager of the Year. Environmental Manager of the Year was Mark Duffy, Radisson Blu St. Helen's Hotel.